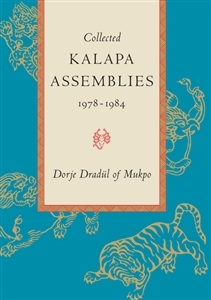 Between 1978 and 1984, the Dorje Dradül of Mukpo (Vidyadhara Chögyam Trungpa Rinpoche) conducted five Kalapa Assemblies, gatherings for senior students on the Shambhala path. In this seminal volume, all talks given at those assemblies are collected. As well, the book includes a foreword by Lady Diana J. Mukpo and an introduction by Acharya Jeremy Hayward, which offers a short history of the presentation of these teachings.